Debra Duardo, a 1996 Master of Social Welfare graduate from the UCLA Luskin School of Public Affairs, has been selected to receive the Joseph A. Nunn Award, honoring her as the department’s Alumna of the Year. The award will be presented to Duardo in a ceremony on Saturday, April 20. The Social Welfare Alumnus of the Year award recognizes outstanding social work professionals who have contributed leadership and service to the school, university, and/or community, and who have otherwise distinguished themselves through commitment and dedication to a particular area of social work. Duardo is currently the executive director of student health and human services for Los Angeles Unified School District, the second-largest school district in the United States. As the executive director she is responsible for the administrative oversight of support services and district programs designed to address the physical health, mental health, and home and community barriers that prevent student academic success, including student medical services, school nursing, pupil services, dropout prevention and recovery, school mental health, community partnerships, and Medi-Cal programs. In this role she manages a $100 million budget and over 3,000 employees including directors, specialists, pupil services and attendance counselors, psychiatric social workers, nurses, organization facilitators, and healthy start coordinators. After graduating from UCLA with a major in Women Studies and Chicana/o Studies in 1994 Duardo earned her Master of Social Welfare degree at UCLA in 1996 with a specialization in school social work. Since that time she has earned her school administrative credential and is currently completing her Ed.D. in the Graduate School of Education and Information Studies at UCLA. Following completion of her MSW, Debra started her career serving as a school social worker and the Healthy Start project director at Wilson High School. She advanced to being the LAUSD Healthy Start District Administrator. Since that time she has served as assistant principal at Le Conte Middle School, the director of dropout prevention and recovery for LAUSD, and director of pupil services for LAUSD. Through all of these positions she has maintained her focus on the important of health and social services for children and families. 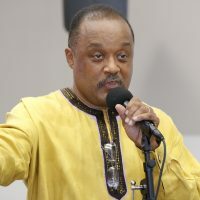 The Joseph A. Nunn Social Welfare Alumnus of the Year award was established to honor Joseph A. Nunn, former director of field education at the Department of Social Welfare at UCLA. 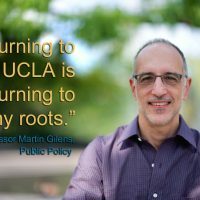 Dr. Nunn brought leadership and service to UCLA and the Social Welfare program at the UCLA Luskin School of Public Affairs for over two decades. Dr. Nunn received his B.S., M.S.W. and Ph.D. degrees from UCLA. 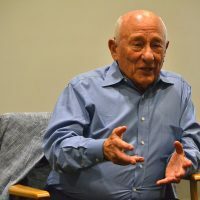 After working as a probation officer for 15 years, he became a member of the field education faculty in 1980, and except for a three-year, off-campus appointment, remained at UCLA until his retirement in 2006. During his last 15 years, he served with distinction as the director of field education and, simultaneous for the last decade, as vice chair of the Department of Social Welfare, where he supervised the field education program.